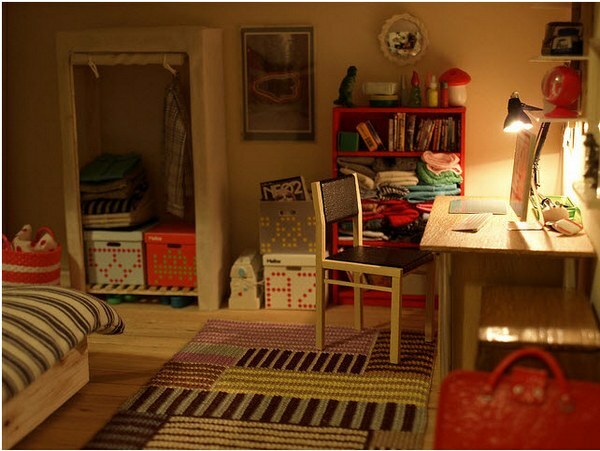 Doll houses can be picture-perfect but are they ‘realistic’? 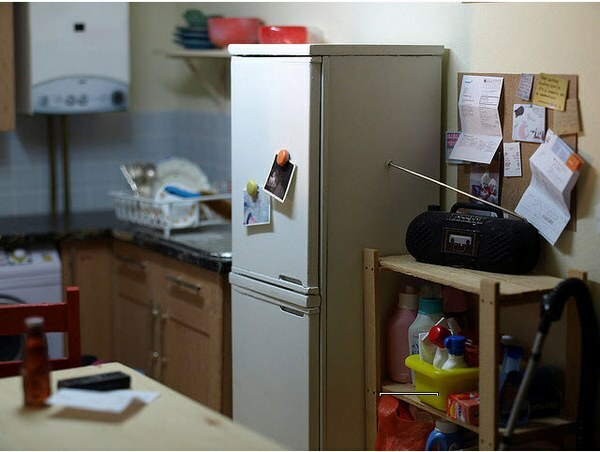 Doll house enthusiast Annina Günter set about creating a doll house that includes coats and shoes crowding the hallway, a bathroom with a veneer of grime and coffee mugs left on the kitchen sink. Günter’s ‘Victorian Brighton terrace’ is a shared house and brings back memories of so many homes I knew during my university days – mismatched furniture, ‘decor’ pieces picked up on backpacking holidays and a fair degree of mess. 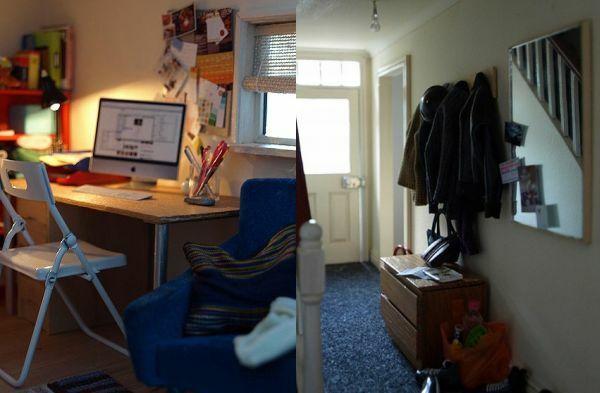 Günter’s student house is true to life – there’s overflowing laundry baskets and rubbish bins, a tiny iMac with several programs open on its screen, a bike propped in the hallway, a washing machine with a noisy spin cycle and pin boards crammed with bits of paper. Günter found a lot of the pieces of furniture on eBay and specialist miniature shops but also made many pieces herself. Look closely to see lampshades made from pen tops, handstitched bedding and cushions and perfectly scaled plywood replicas of Ikea furniture. She managed the iMac by photographing her own computer screen, reducing the size, printing it and sticking it to wood and aluminium foil. The charm in this amazing house is the incredible detail – be sure to check out Günter’s blog, which details her other doll house projects and includes lots of photos of her miniature work.